Even though Bryan Singer’s X-Men: Apocalypse announced that it had wrapped principal photography this weekend, second unit production will be continuing for a little while longer. That’s most likely the reason for star Olivia Munn’s most recent Instagram post, which shows the former “Attack of the Show” host demonstrating some impressive martial arts kicks. 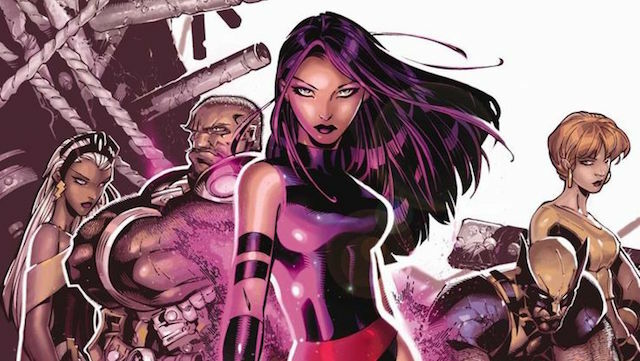 As with Munn’s previous sword fighting video, this should serve to whet fans’ appetites for her debut as the mutant Psylocke when X-Men: Apocalypse hits the big screen May 27, 2016. Michael Fassbender, James McAvoy, Jennifer Lawrence, and Nicholas Hoult are set to lead the cast of X-Men: Apocalypse as Magneto, Professor X, Mystique, and Beast. The film will also see the return of Rose Byrne as Moira MacTaggert, Lucas Till as Havok, Evan Peters as Quicksilver and newcomers Alexandra Shipp as Storm, Sophie Turner as Jean Grey, Ben Hardy as Angel, Tye Sheridan as Cyclops, and Lana Condor as Jubilee. Oscar Isaac is starring as the film’s title antagonist, having confirmed that he will take on the multiple forms of the villain and will also assemble his horsemen. Writer/producer Simon Kinberg is scripting the film from a treatment he wrote with X2: X-Men United writers Mike Dougherty and Dan Harris.